Here is the first page of the unit I sell. This is for a literacy center. 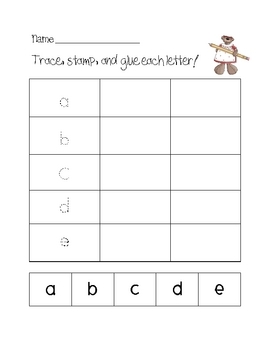 Students will trace, write, and glue the letter. Thanks for looking! Please leave me feedback and let me know if there is anything I can help you with!